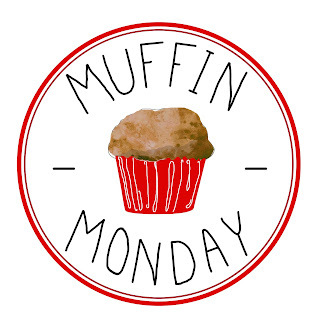 This month, in celebration of Leap Year, Stacy has chosen to do a theme for Muffin Monday. Stacy has chosen for us to use "unusual" ingredients to honor this "unusual" event. 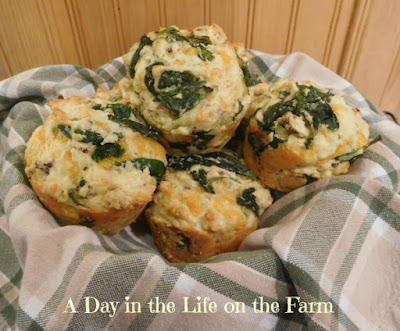 I'm not used to having a theme and it has been a crazy busy month so last week I made up some corn muffins to go with dinner, wrote my post, scheduled my post and then remembered there was a theme. 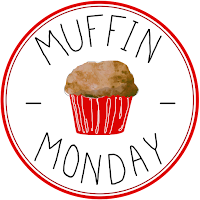 So, you, my lucky readers got an extra muffin post this month. So then I had to put my thinking cap back on and decide what kind of muffin I could make that would be unusual. I opened the refrigerator and saw half of a bag of baby spinach that needed to be used before it wilted. 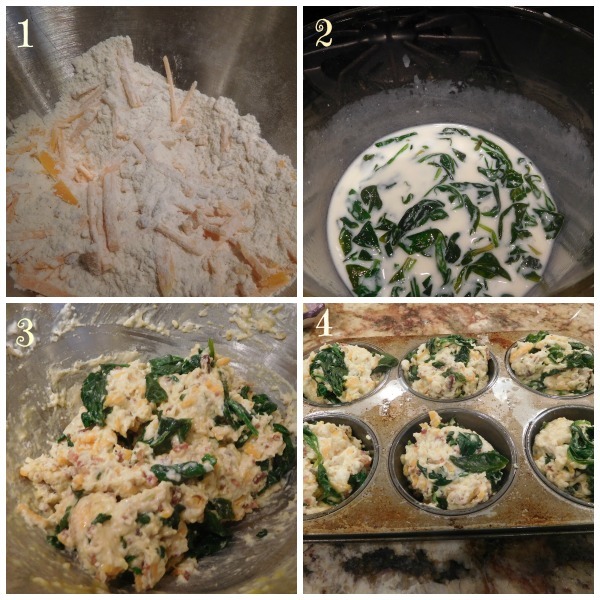 Spinach Muffins? Why not. I decided to make savory breakfast muffins because I love spinach in my omelets or making spinach benedicts. I pulled out some bacon bits and colby cheese from the fridge along with the spinach, an egg, butter and some buttermilk. 1. Mix together the dry ingredients including the bacon and cheese. 2. Wilt the spinach in the hot butter, add the buttermilk to cool the mixture. 3. Add the spinach mixture and egg to the dry ingredients and stir just until combined. 4. Using an ice cream scoop fill a 6 cup muffin tin that was treated with cooking spray. It took only a matter of minutes to throw these together and in less than a half hour we had a hot breakfast muffin to take along with us as we began our day. I love everything about this muffin, Wendy! Spinach, bacon and cheese are such a winning combination! Yes, my Little Miss will still eat green. But I know the time will come. If I could stop turning my spinach into peanut butter, spinach and banana smoothies I would be all over these muffins. I love the idea of a breakfast muffin and they look terrific. Now you have me hankering for one of those smoothies Kirsten. This is a brilliant post. This is such a great idea to give healthy food to your family. These muffins look so delicious. I also make such foods at home and use Green supplements to provide essential nutrients to everyone in the family. Thank you for your kind words Larry. Let's go to Alsace with the #FrenchWinophiles.